This track is intended to showcase innovative practices that strategically use technology to support, drive, and optimize retention of Hispanic students. These are the Best Practices in Retention that will demonstrate how their approach has had a significant impact on their success in supporting and increasing Hispanic student retention. Below is a table listing the presentations selected to showcase during the conference. Please refer below for the official time schedule of this track. a. The first component: The Freshmore Experience Project [FEP] contributes to retention and graduation by providing a new orientation and a 1st year-through-Sophomore seminar, to meet student needs with new strategies and activities to guide and accompany the students for three (3) semesters. b. The second component: The Distance EDucation and Online Services [DEDOS] project addresses retention and graduation by: (1) providing a fully-web distance education initiative as a “back-up system” for students who are at risk of dropping out of their courses, and (2) creating a comprehensive 24/7 fully-web student services and support intervention. c. The third component: Systematic Assessment System [SAS] addresses retention and graduation as follows: The student learning assessment system monitores student course of studies at USC to flag at-risk students and attend to their needs and interests with timely and appropriate interventions. Also, as part of this third componenet, a systematic, standards-based, student learning assessment to ensure the quality and pertinence of the Title V Project’s offerings. Project VIDA: A Retention Model. Since September 2009, an important institutional retention development, Project VIDA, has evolved from the Seniors Summer Program initiative. Project VIDA organizes the educational experience to foster conditions that will help students visualize and work towards their academic and personal success. Three major characteristics define this project. One characteristic is the student support services in which the admissions director keeps track and guide the students until their second year of college. This component includes tutoring services and counseling. The second characteristic is the development of personal growth and resilience through systematic visualizations and affirmations. The third element introduces changes to the curricular activities. Courses are scheduled in blocks so that the student can experience an integrated curriculum. Students are organized in working groups in a research project which promotes active significant learning and the creative use of technology. This initiative creates the necessary conditions for the students to develop valuable competencies for their insertion into the 21st century society. The Keys to On-line Retention- Expectation and Communication. Retention has become a major area of concern for higher education institutions. For example, according to the National Center for Education Statistics, in 2007-2008 only 71 percent of first-time undergraduates were retained for all institutions, which included public, not-for-profit and for-profit institutions. Berkeley College, in 2011, embarked on a project to identify ways in which the online experience for students could be changed in order to improve student learning, persistence, and graduation. February 16, 2012 11:00 AM Amphitheater 4 Gina Rae Foster, Ph.D.
“Tech Talks” and “Commons Worlds”: Enriching Faculty Professional Development Through Technology. The Directors of the teaching and learning centers at Lehman College and Queens College of the City University of New York are engaged in a cross-college collaboration in faculty professional development with technology that brings faculty within and across campuses together with best pedagogical practices in technology. This collaboration, which includes presentations, discussions, workshops, and social media, supports faculty in gaining technological expertise and in sharing this expertise with their students. 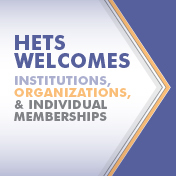 model (e.g., AMEX and Frequent Flyer points) whereby students receive “Hostos Reward Points” for participating in one or more of 38 technology-based workshops, completing surveys and evaluations, early semester registration and other activities designed to facilitate student success. Points are accumulated throughout the year—and each 1,000 points is worth one entry into the grand prize sweepstakes drawing that takes place each year. This “reward points system” uses a gamification approach to increase student participation in self-development, and institutional assessment activities. Student-Centered Strategies for using Technology and Media in the Classroom. Join us to look at how technology and media can enhance learner motivation and critical thinking skills in courses across the disciplines. This interactive session will present an overview of instructional technology tools for presentation, interaction, and assessment in order to engage students from diverse backgrounds. Presenters will share student-centered strategies for enhancing communication and collaboration among Hispanic students. Using Popular Media and Digital Narratives for Active Learning in the Classroom. Do you want to use technology in a meaningful way to achieve course objectives? This session will illustrate some interactive strategies for utilizing popular media and digital narratives to promote active learning in English classes. The Hispanic students at Queensborough Community College, who are mostly first-generation college students from immigrant families face unique challenges related to the disconnect between home and academics. Presenters will share how the use of familiar narratives can help these students in making connections with the course content and facilitate student learning. Using ePortfolio to Improve Retention of Hispanic Students in a Predominately Black Institution. This presentation provides a description and analysis of how technology was used to improve the retention of at-risk Hispanic students at a predominantly Black institution. In Fall 2010, the Education Department and the Association for Latino Studies Student Club (ALAS) participated in an ePortfolio pilot project focused on improving student engagement, fostering integrative learning, and encouraging personal development through reflective writing. Preliminary findings indicate that Hispanic students’ connectedness to the college increased after participation in this project. Expanding Access to Supplemental Instruction through Online Tools. A critical challenge surrounding commuter campuses is to provide essential resources that facilitate learning, and enable student success in courses with high failure rates for non-traditional students. Expanding Access to Supplemental Instruction through Online Tools will focus on sharing a collaboration framework between supplemental instruction staff, online instructional support staff, and course instructors to leverage existing synchronous/asynchronous communication tools and instructional technologies that extend access to accommodate students who would otherwise be unable to take advantage of additional instructional services and resources provided by the university. (This presentation will be conducted in Spanish, translation services will be available.) 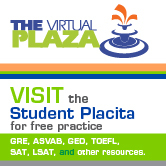 Virtual Environments of Learning as Strategy fro Student Retention Under Competence-Based Learning and Academic Credits System at Universidad Cooperativa de Colombia. Since 2003, authorities in Colombia have been implementing a series of policies and regulations which in turn, have modeled a competence-based educational system, as a teaching-learning methodology, as a formative horizon, or as the acknowledgement of students´ independent work to achieve the formative goals set by the academic program, assuming the academic -credit system as a total measurement of the academic work a student has to accomplish. Along the implementation process, initiated in 2005, the Colombian educational system showed (with variations among academic programs) an increased desertion rate, reaching as high as 50 % for last year students in areas such as Agronomy, Veterinary Medicine and Engineering, due to, among other socio-economical factors, the lack of assuming responsibility by the students in their learning process and the lack of independent work sceneries planned and designed by teachers. On the other hand, long before the guidelines were provided by the Education Ministry, Universidad Cooperativa de Colombia started the consolidation of a pedagogical tool named MICEA (interdisciplinary methodology focused on learning teams) which acknowledges not only its five components (Direct teaching, self-learning, team learning, tutoring and assessment) but also the involvement of Institutional values such as Freedom, Solidarity and Respect for diversity as collaborative learning catalysts, seen as part of the independent work students have to comply with, within the academic credits-system. In spite of such advancements, non-presential sceneries were not available for students´ independent work, which make the principle of Flexibility, related to competence and credit-based system, not achievable, given that time, places and learning rithms are different among students, and cannot be set by teachers, therefore requiring interactive environments to facilitate teacher-student communication and collaborative instruction- learning proposed by MICEA. Such gap resulted in an increased course failure, which in turn resulted in student desertion and decreased retention. Considering the latter, Universidad Cooperativa de Colombia initiated in 2008 the incorporation of Communication and Information Techniques, which aims to favor the interaction between teachers and students with flexibility and to facilitate achieving the goals of the academic program. Particularly, the project “Towards a competence-based education using autonomous learning environments” was proposed for the Faculty of Veterinary Medicine and Animal Sciences, which resulted in an increased dynamic interaction between teachers and students, flexible schedules and academic tutoring strategies. This research represents the first study evaluating a distance learning program that takes place in the institution under study. The same findings were useful in promoting the use of different assessment tools for online or traditional academic programs.The study allowed for the consideration of: identification of the student profile which requires an increasingly flexible and varied education, identification of the needs of the faculty to develop and integrate skills and knowledge based on new technologies in order to assume new roles, need to consider the evaluation process as a priority in university strategic plans. Highlights the importance of further strengthening of structures of support – academic, administrative and technological. Supports the hypothesis that distance education is the future of higher education in Puerto Rico and universities will have to move towards this direction. This study also confirms the importance of considering the evaluation of all the actors who take part in the implementation of a distance education program. All this will require educational institutions to redirect their efforts towards strategies that result in greater satisfaction among students and the use of administrative approaches that integrate and adapt existing structures to new modes of study. This will provide a greater increase in institutional success and therefore a higher rate of student retention. The implementation of programs that evaluate online courses guarantees students’ satisfaction and quality in teaching, learning and institutional use. It also promotes positive perceptions of resources, recruitment and student retention in distance programs. The Ph. D. Clinical Psychology Program at Carlos Albizu University, a program of Excellence in Education:using a Constructivist model to build excellence. On September 27th top National Educators leaders awarded the Ph.D. Clinical Psychology Program at Carlos Albizu University (CAU) as the graduate top program of Excellence in Education. The Ph.D. Clinical Psychology Program at CAU was recognized as a program that increases degree completion among Latinos at the graduate level.One of our major goals is to increase the number of Latinos/as students trained in Clinical Psychology who master the required clinical and research skills to investigate mental health issues, particularly those associated with disadvantaged population. Moreover, the Program is unique in its mission of training culturally sensitive psychologists in a Hispanic/Latino cultural context. We have implemented a Constructivist Paradigm in our educational system. Several strategies that helped in the retention and successful completion of the students in our Program will be discussed.